With MonsterInsights Google Analytics tracking, you’ll get real time stats, so you can see how your website is doing right now. 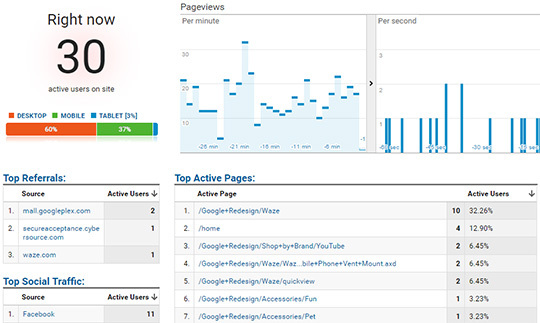 Real time stats also ensure you can quickly identify and fix any problems that are losing you traffic. If you’re only getting data on a daily basis, you risk losing all that potential business. Set up Google Analytics on your WordPress site in just a few clicks.